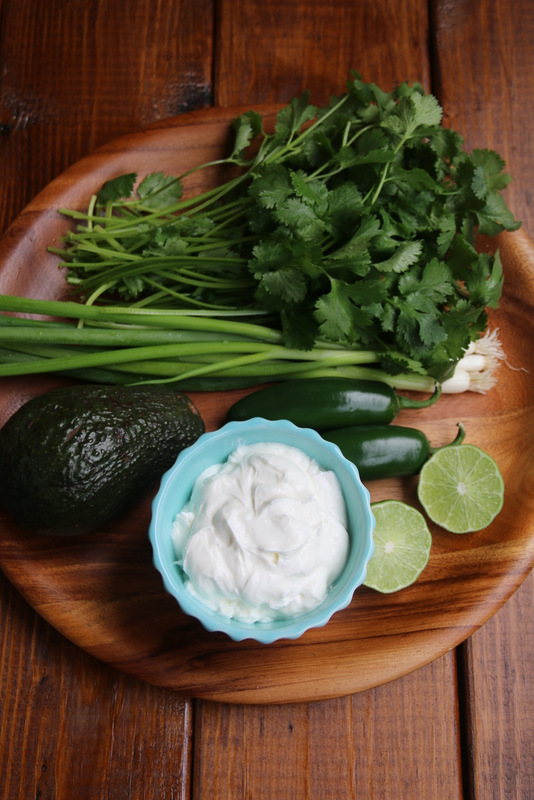 This spicy avocado yogurt dip is made with yogurt, avocado, cilantro, green onions or scallions, jalapeño, lime juice, and cumin. My mom would prepare healthy yogurt dips for us as kids. 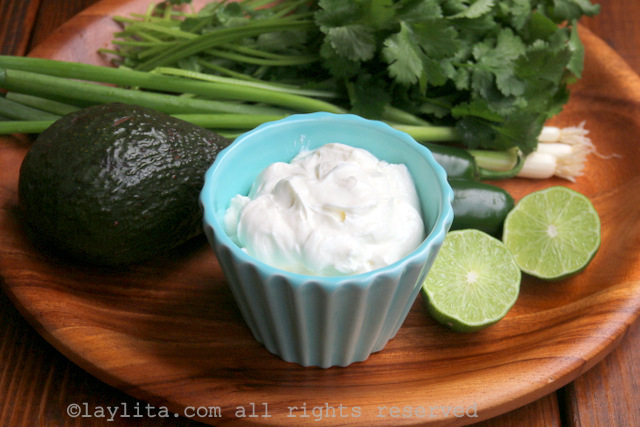 One of my favorites was her spicy cilantro yogurt dip. 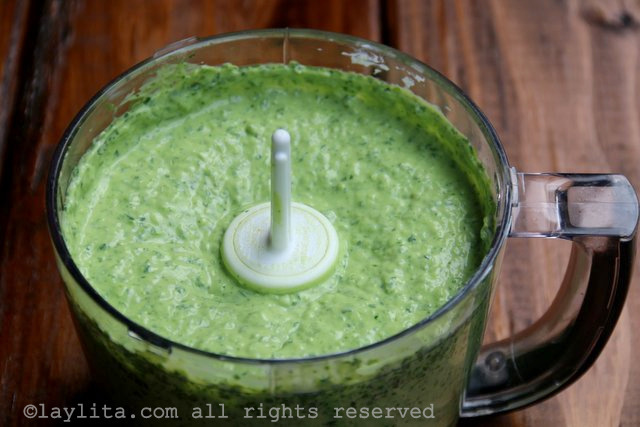 My other favorite dip is guacamole, so I decided to combine them into one. 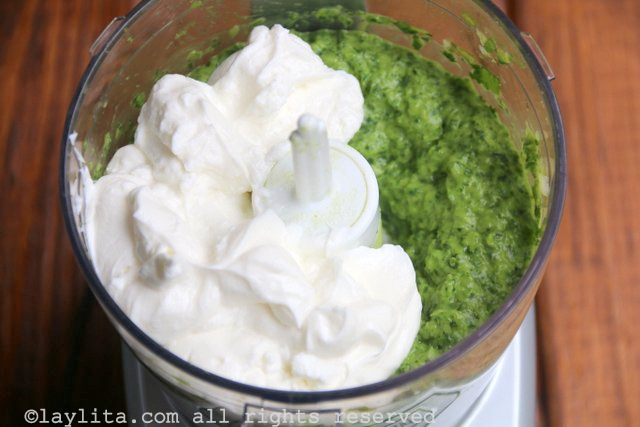 This creamy dip is very easy to make: simply put the ingredients in a food processor or blender, mix and done. 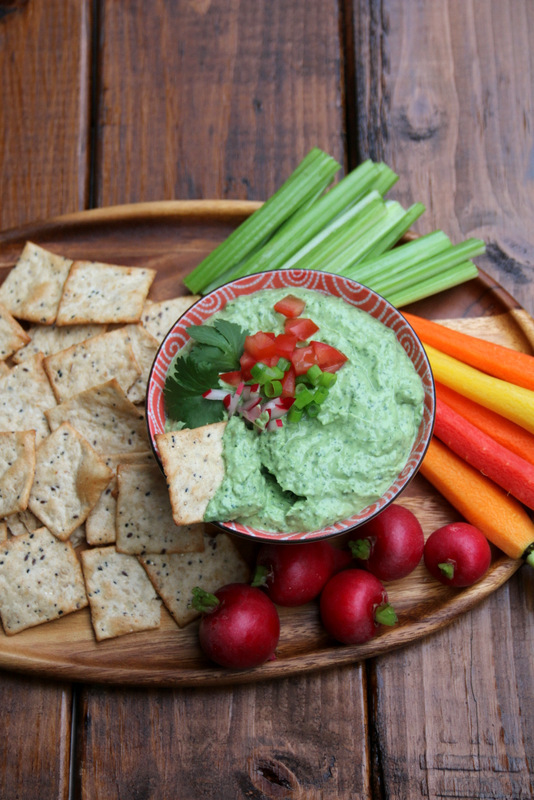 I used mild jalapeños to add some spiciness to the avocado dip. Feel free to adjust the heat level that you and your family prefer by adding more or less hot peppers. To lower the spiciness level, make sure to remove the seeds and veins from the jalapeños. To increase it, you can leave them in, or you can also use a spicier hot pepper like Serranos. 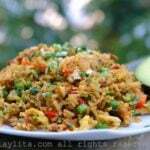 You can also leave them out entirely or replace with mild Anaheim peppers or even a small amount of bell pepper. 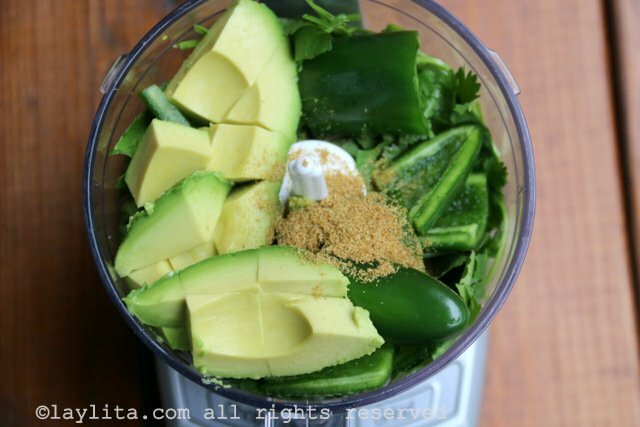 Cut the avocado in half, remove the pit, and spoon out the avocado pulp. 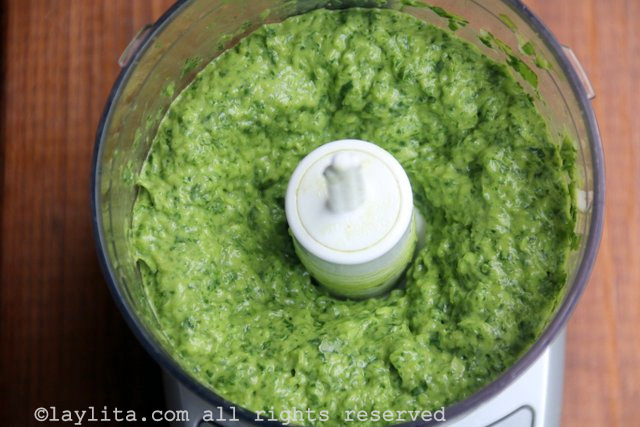 Place the avocado pulp, the chopped cilantro, jalapeño peppers, green onions, cumin powder, and lime juice in a small food processor or blender. Pulse until the ingredients are crushed and pureed. 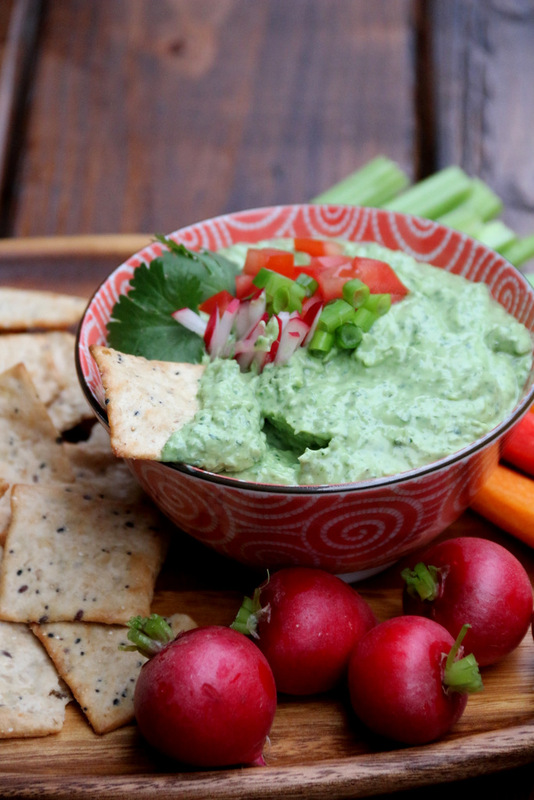 Right before serving, garnish the avocado yogurt dip with diced tomato, radish slices, chopped scallions, and cilantro leaves. 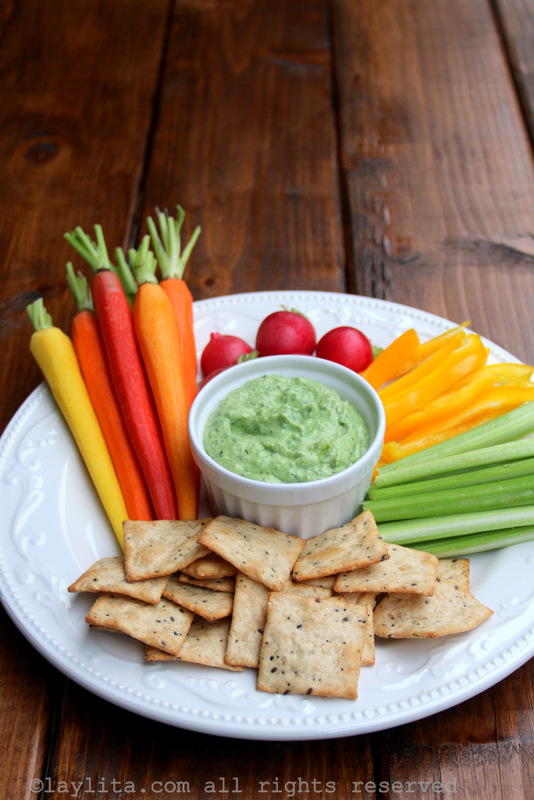 Serve the avocado yogurt dip with your choice of fresh veggies and/or crackers. 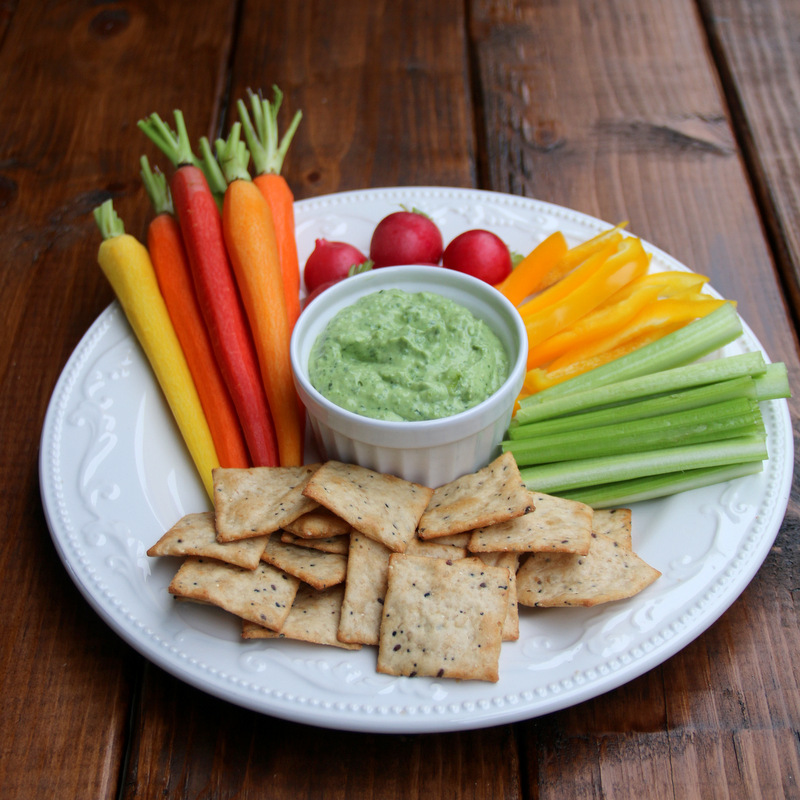 I served this spicy avocado yogurt dip with some fresh veggies and crackers as an appetizer for a small dinner party. 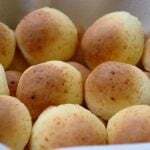 It will also make a great after-school snack for the kids. 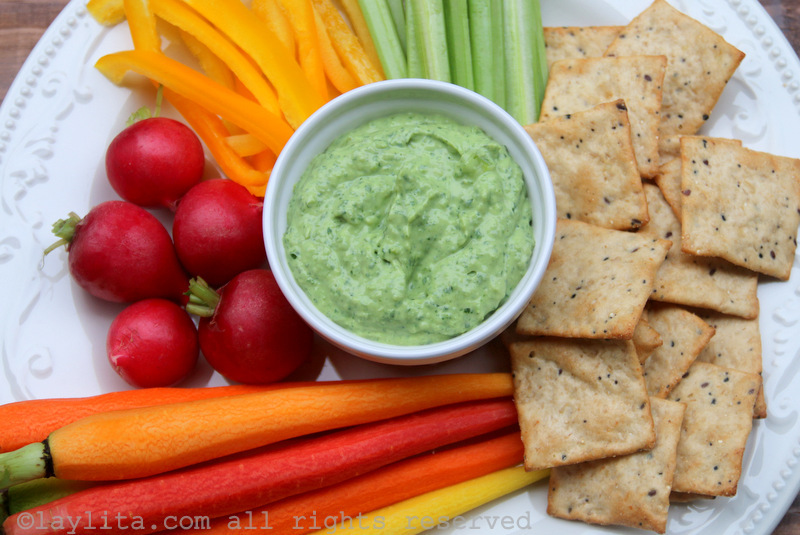 I’m always trying to find healthy new snacks for them, and this one will be perfect. 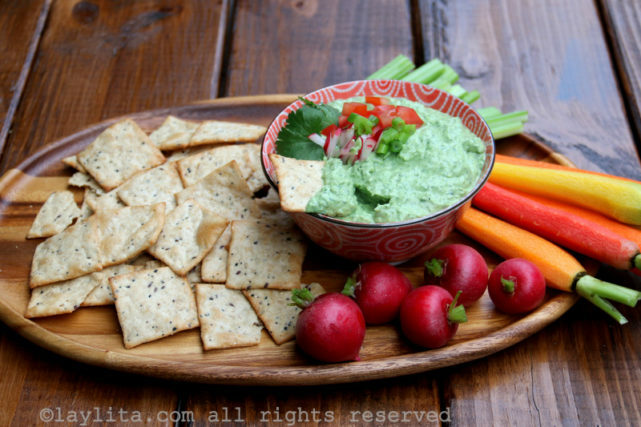 The avocado dip can be made ahead of time and refrigerated until ready to serve.